Wireless charging has been emerging as a key technology for the past few years, and is slowly being embraced by furniture and homeware companies looking to integrate functionality into design-led products. In 2015, Ikea launched a furniture and lighting range that enables the charging of handheld devices, while two new designs from other brands bring tactile materials and elegant shapes to this technology. 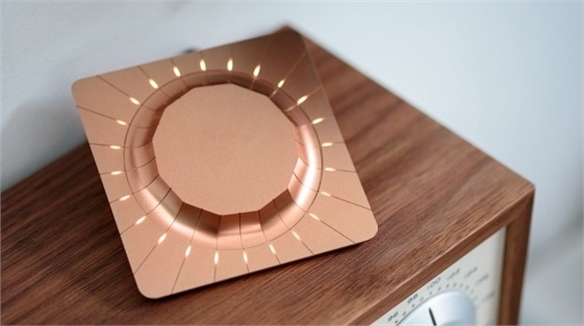 Duo – Portable Speaker and Wireless Charging Plate: On the basis of its case study into the future of induction charging, London-based design studio Blond is anticipating a revival of wireless charging technology. The studio has created a portable speaker with a wireless charging tray as it saw a lack of products designed for home environments. The Duo blends into modern interiors by using materials such as perforated aluminium and polished Corian (a man-made, stone-like material), resulting in a refined aesthetic. 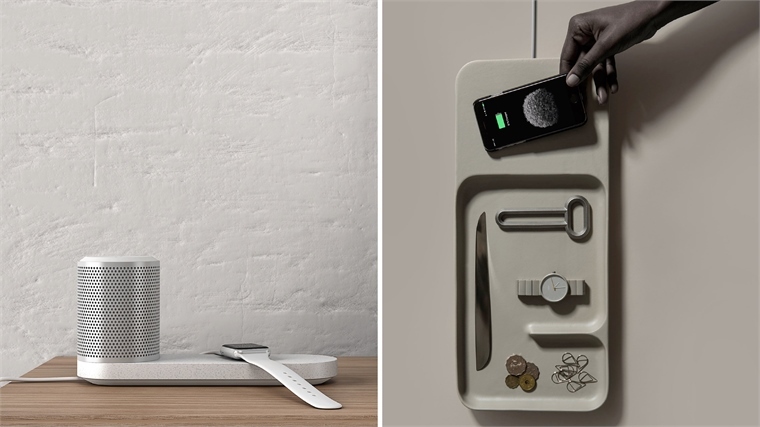 Charge Trays: Earlier this summer, design studio Layer launched a ceramic tray collection for wireless charging, in collaboration with Italian ceramics brand Bitossi Ceramiche. The collection, available in four sizes and with four different glazes, carries a clean form combined with a subtle palette. The charging technology sits under the tray in a compression-moulded silicone module, making it possible to update the wireless charging system as new technology emerges. We are moving towards a wireless world, as indicated by the development of products such as these charging trays. 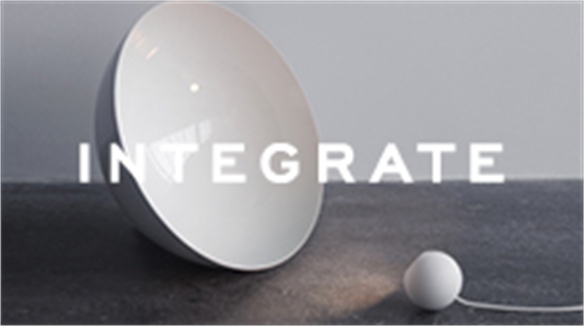 See Integrate on how wireless technology is allowing for the creation of products that revolve around people, not the other way around. 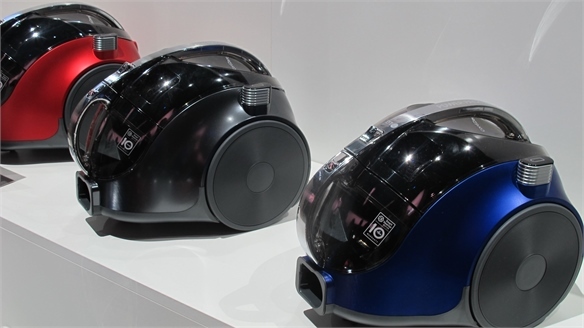 Companies are re-engaging consumers with interiors-inspired consumer electronics that fit within contemporary spaces. 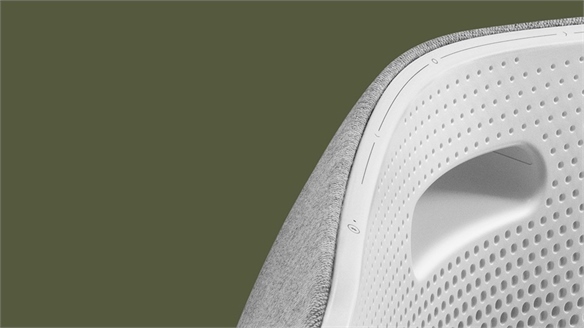 See New Tech Aesthetics for more design-led products that employ tactility, and that are more akin to homeware than conventional consumer electronics. 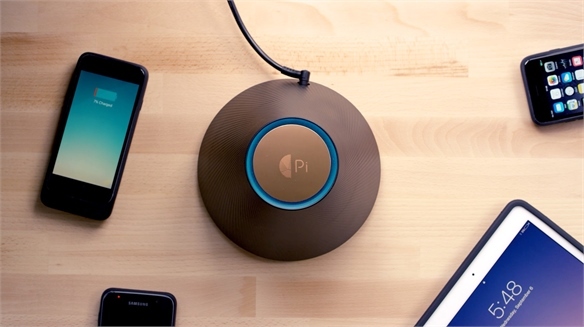 Pi: The Future of Wireless Charging Pi: The Future of Wireless Charging Californian tech start-up Pi Charging has designed a contactless charger called Pi that can power up multiple devices simultaneously. 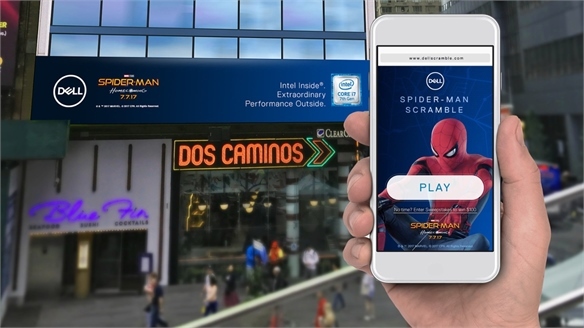 Dell & Spider-Man: Interactive Out-of-Home Game Dell's Interactive Billboard Game To promote the release of Sony Pictures' Spider-Man: Homecoming film in the US, multinational computer technology company Dell and global outdoor advertising company Kinetic have created a multiplayer game on digital billboards in New York's Times Square. 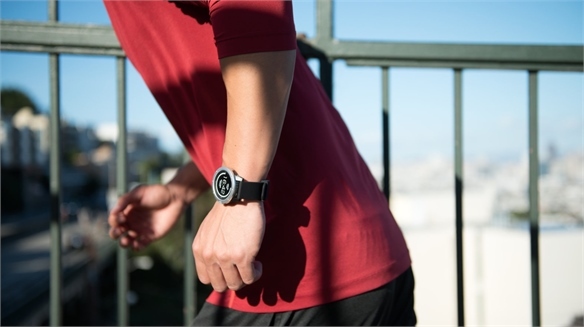 Matrix PowerWatch: Body Heat-Powered Smartwatch Body Heat-Powered Smartwatch The PowerWatch, from Silicon Valley-based start-up Matrix Industries, is the world's first smartwatch powered solely by body heat. 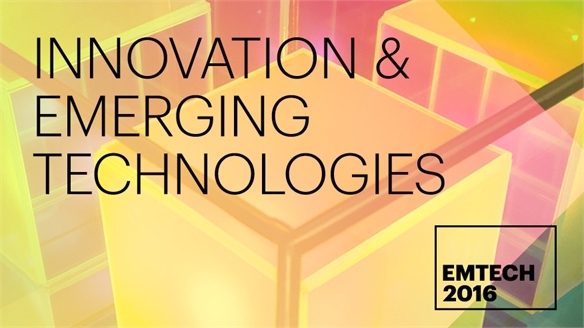 Innovation & Emerging Technologies: EmTech 2016 Innovation & Emerging Technologies At this year's EmTech conference in Boston, MIT Technology Review spotlighted academics and entrepreneurs inventing, exploring and advancing new technologies with potential to change the world. Maison & Objet Sept 2016 Maison & Objet Sept 2016 Our series of reports from September's edition of Maison & Objet highlights the latest trends and brands to watch within lifestyle, interior textiles and kids' toys and products, as well as colour and materials directions. 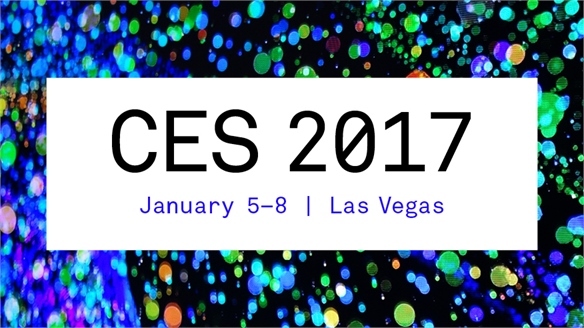 CES 2016: Home Electronics CES 2016: Home Electronics Exciting changes for domestic electronics are afoot as new releases focus on simplifying our daily lives. Numerous concepts and products including robotics and intelligent interfaces will alter the way we live – from the kitchen to entertainment. 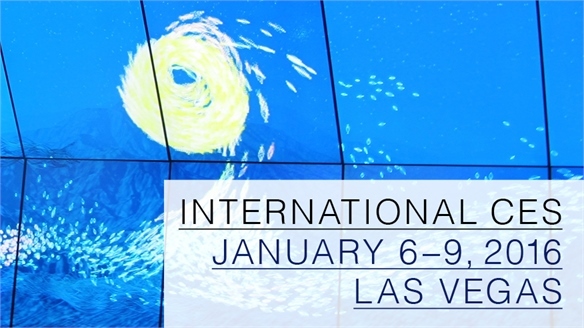 International CES 2016 International CES 2016 Industry leaders and start-ups converged at this year's International CES in Las Vegas to unveil the most promising innovations in consumer electronics – from snackable wellness products and clever kitchens, to truly social electric autos. New Tech Aesthetics New Tech Aesthetics Technology is getting a visual overhaul. Trends from the interiors market are influencing a new wave of design-led products that suit contemporary homes and lifestyles. Far removed from chunky plastic casings of yesteryear, softer materials and curated colourways are resulting in design aesthetics made for display. 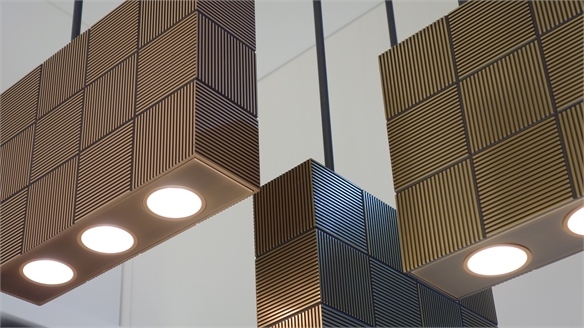 LDF 2015: Furniture & Lighting LDF 2015: Furniture & Lighting London Design Festival is ripe for spotting commercial furniture and lighting trends, as well as more experimental projects. This year was a solid platform for strengthening partnerships between designers and manufacturers, while tech start-ups seek to shake up the industry with customisation tools for all. 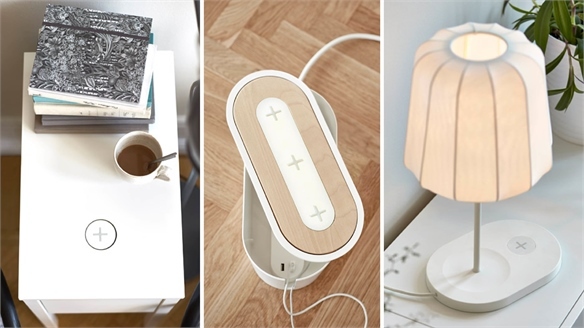 Ikea Launches Wireless Charging Products Ikea's Wireless Charging Products Swedish homeware retailer Ikea is launching a furniture and lighting range that enables the wireless charging of handheld devices – available in UK stores and online mid-April. Flat Tech Flat Tech As the drive for greater mobility and practicality continues, lighter and thinner materials are at the forefront of research. 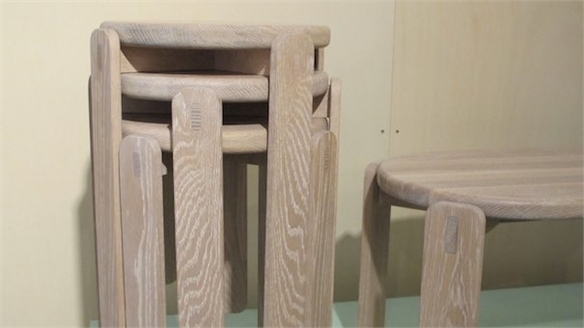 Natural materials including wood, fabric and paper are rethought for a technical-driven age. 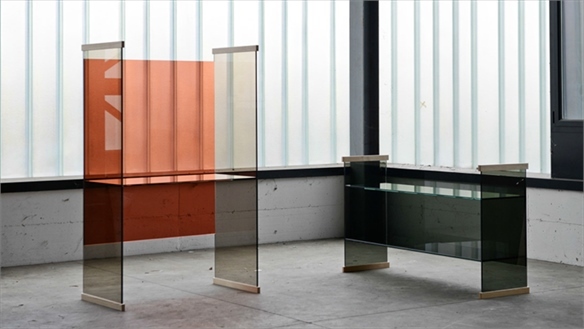 Products combine lightness with functionality. Innovative pocket-sized and flexible pieces have the potential to transform how we view wearable technology and medical apparatus. 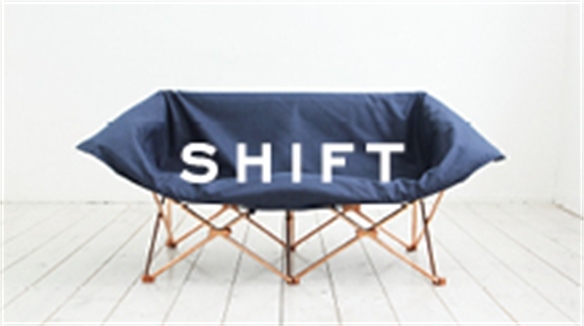 Shift Shift Transformative product design, with flexibility at its core, provides for any eventuality. While profound social shifts are changing the world, the new Connection Economy, with networks digitally mapped around the globe, offers huge potential.